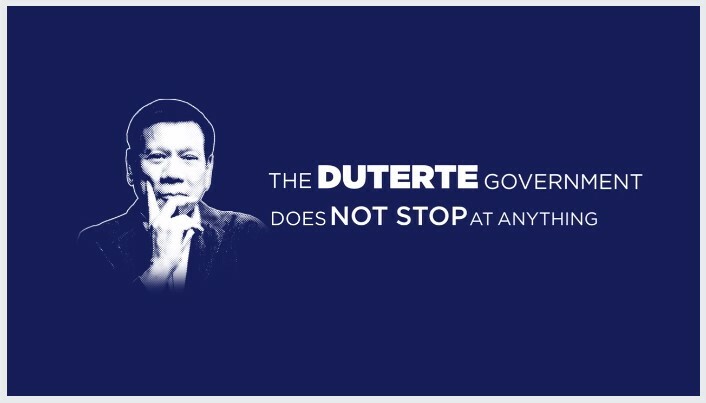 In his 10-point Socioeconomic Agenda, President Rodrigo Duterte envisioned the reduction of poverty from 21.6% in 2015 to 13%-15% by 2022. Among the reforms that will drive this Agenda is the acceleration of infrastructure and the development of industries that will yield robust growth across the archipelago, create jobs and uplift the lives of Filipinos. 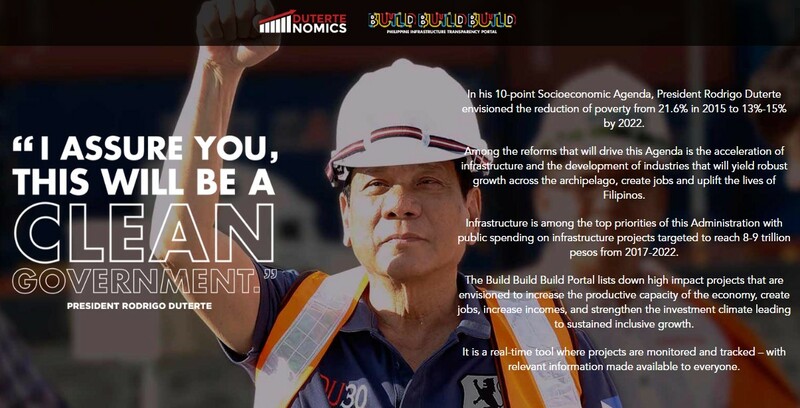 Infrastructure is among the top priorities of this Administration with public spending on infrastructure projects targeted to reach 8-9 trillion pesos from ‎2017-2022. The Build Build Build Portal lists down high impact projects that are envisioned to increase the productive capacity of the economy, create jobs, increase incomes, and strengthen the investment climate leading to sustained inclusive growth. It is a real-time tool where projects are monitored and tracked – with relevant information made available to everyone.